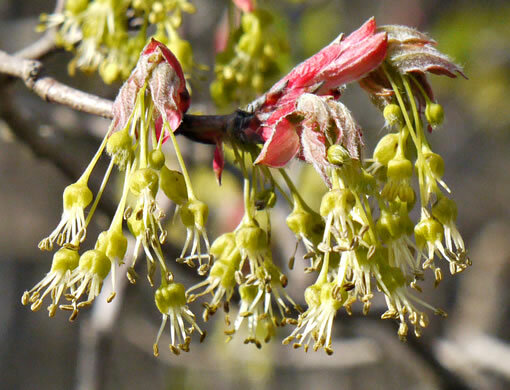 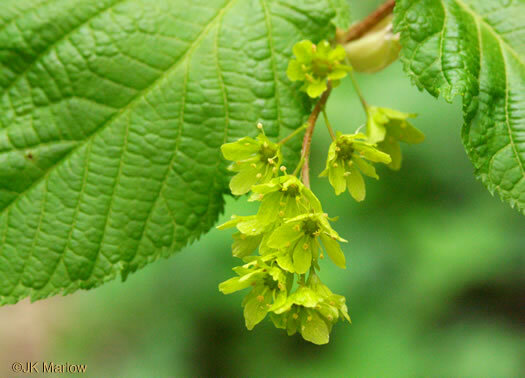 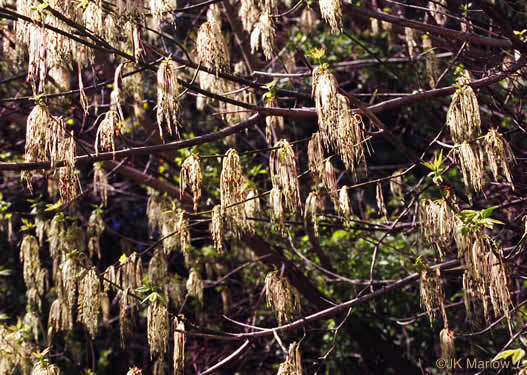 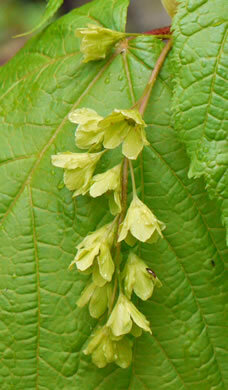 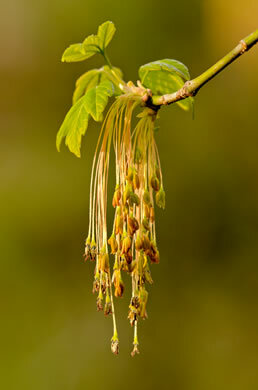 Your search found 9 image(s) of flowers of Maple species. 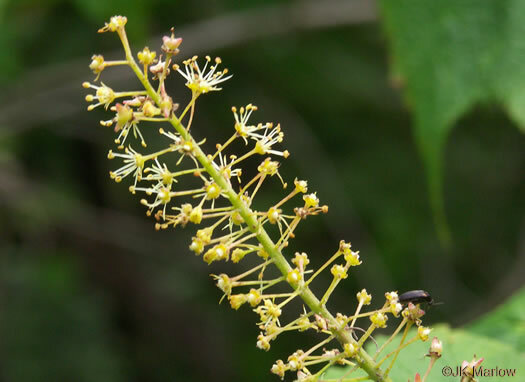 Flowers in terminal erect racemes or panicles, appearing after the leaves, per Native Trees of the Southeast, An Identification Guide. 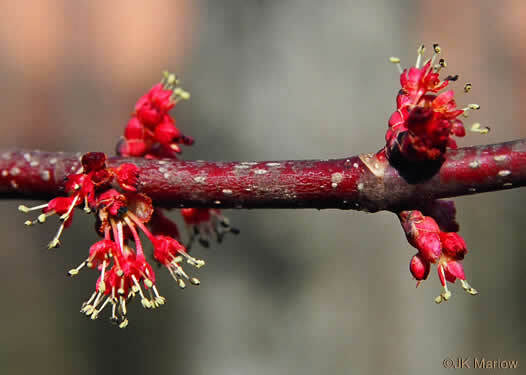 Male and female flowers in separate upright clusters [these staminate], per Trees of the Southeastern United States. 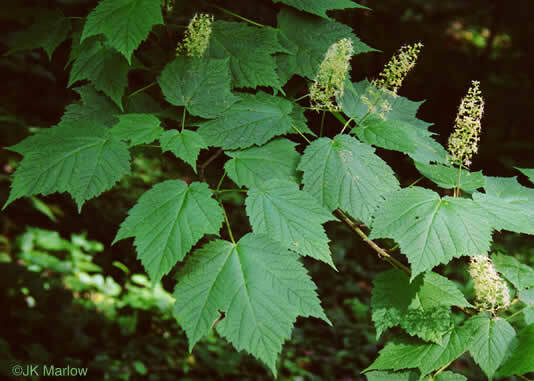 Flowers appear before the leaves in dense axillary clusters, per The Native Maples of Georgia. 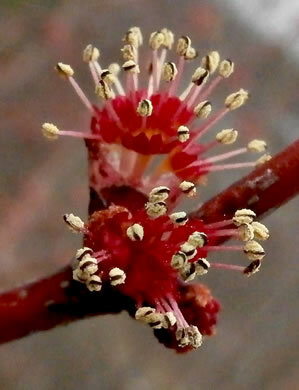 Tipularia (Ware, 2003).